Those in the market to buy a BMW 3-Series face a surprising amount of choices right now. That's because BMW is currently selling 3 different model years at the same time: 2018, 2019, and 2020. However, nuances in what's available will likely cause confusion for more than a few buyers. Here's why. Based on our analysis of national listing data, dealers still have 2018 3-Series sedans left in stock. However, we think it's worth noting that the Gran Turismo and Sports Wagon variants sold out months ago, which means that to get either one of those styles, you'll have to choose a 2019 model. 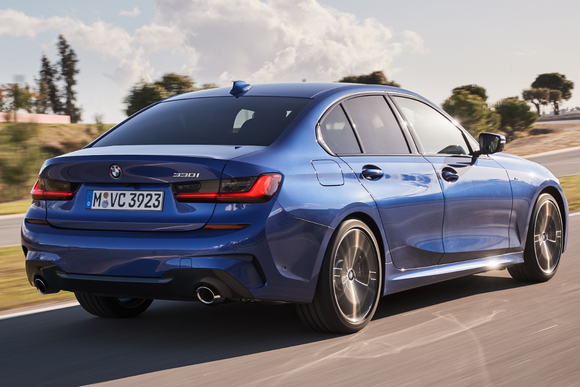 The 2019 3-Series is actually comprised of two different generations of vehicles. The sedans are an all-new design featuring the latest technology, but the Gran Turismo and Sports Wagon are actually unchanged and are said to be in their final year due to the dominance of SUVs. But that's not all. This month, dealers are starting to take orders for the 2020 M340i. 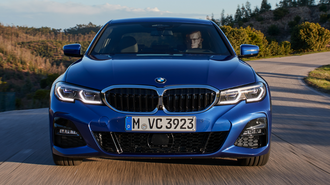 The new performance variant of the redesigned 3-Series is due to arrive this summer and will feature a 382 hp engine that BMW says will make it the most powerful stock 3-Series outside of the M3. Seeing 3 different model years all on sale at once doesn't happen often, but may cause confusion given the large variety of configurations and big differences in pricing. The 2018 BMW 320i Sedan starts at $35,895 with destination and features an attention-getting $299/month lease right now. In contrast, the 2019 330i four-door is listed at $41,245 and features an advertised payment that's $170 (per month!) more expensive. The 2019 330i xDrive Sports Wagon and Gran Turismo are listed from $45,995 and $46,395, respectively. Finally, the 2020 BMW M340i features a sticker price of $54,995. Keep in mind all of these prices are before optional equipment. We recommend checking with dealers to find out what's available in your area. We generally don't see a ton of 3-Series in stock since inventory is generally weighted toward SUVs. As a result, shoppers may have to pick & choose carefully to find the right car. Redesigned BMW 3-Series Wagon Won't Be Sold In U.S.